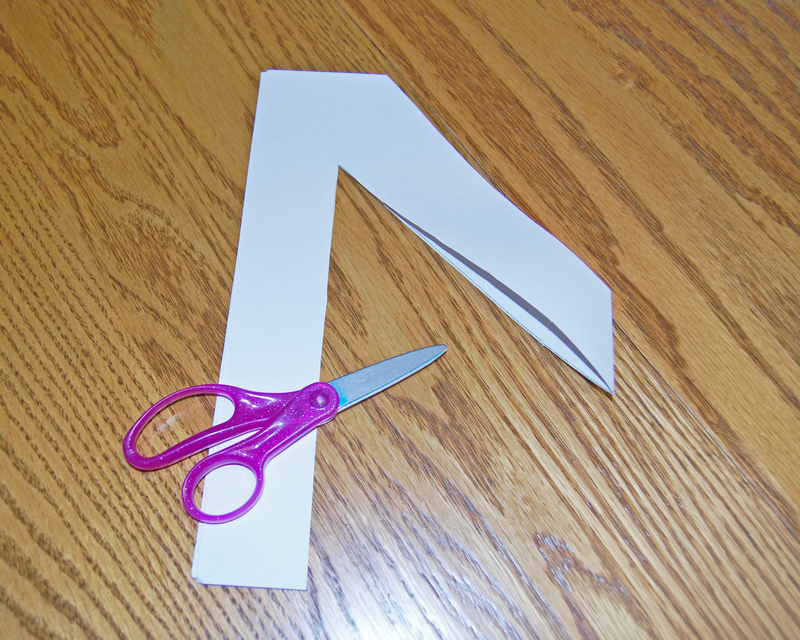 Fold the white piece of paper in half. 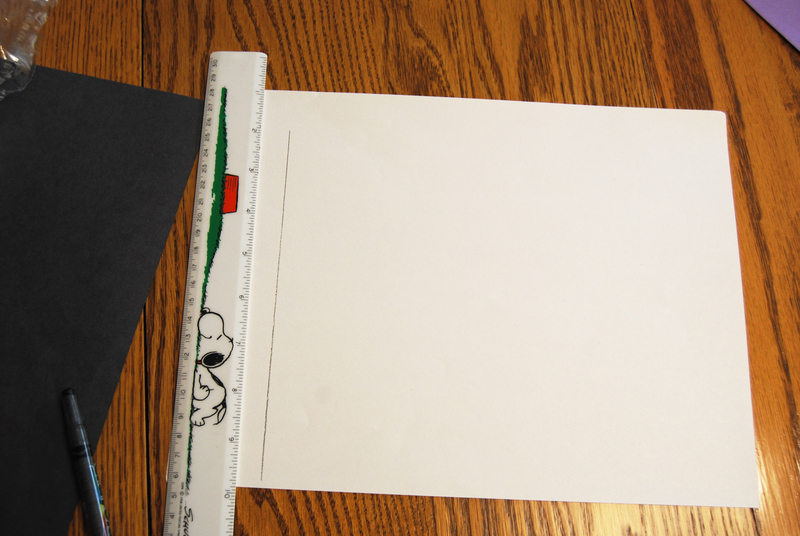 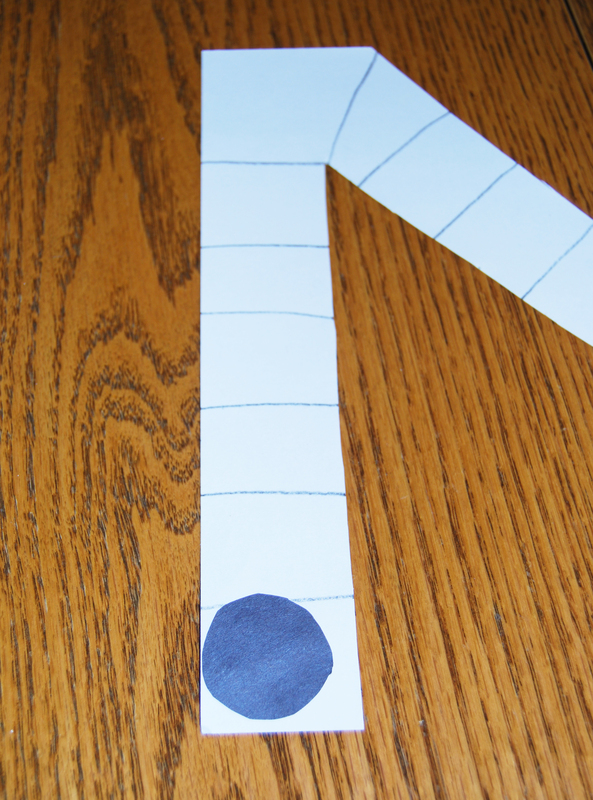 Using the ruler, measure about 1.5” from each side, and draw a line. 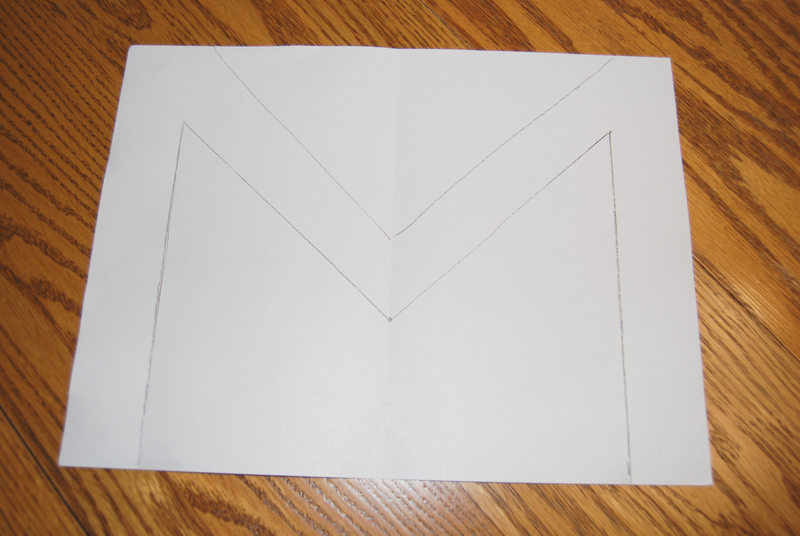 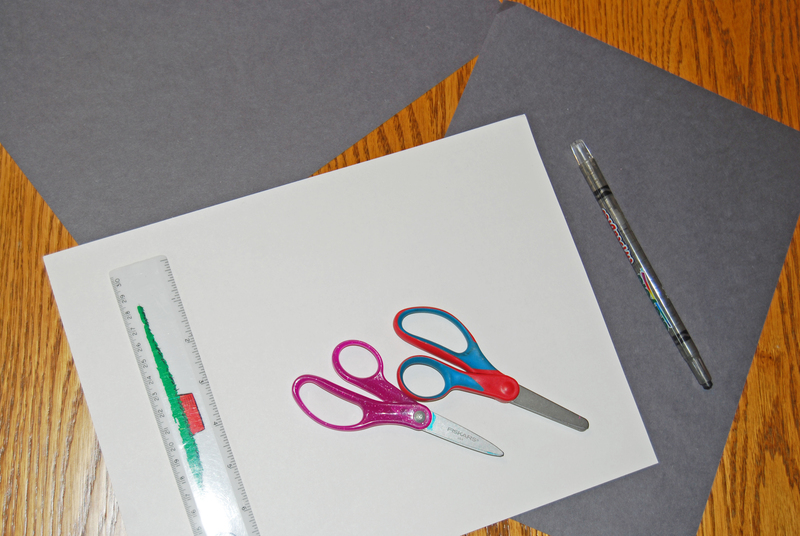 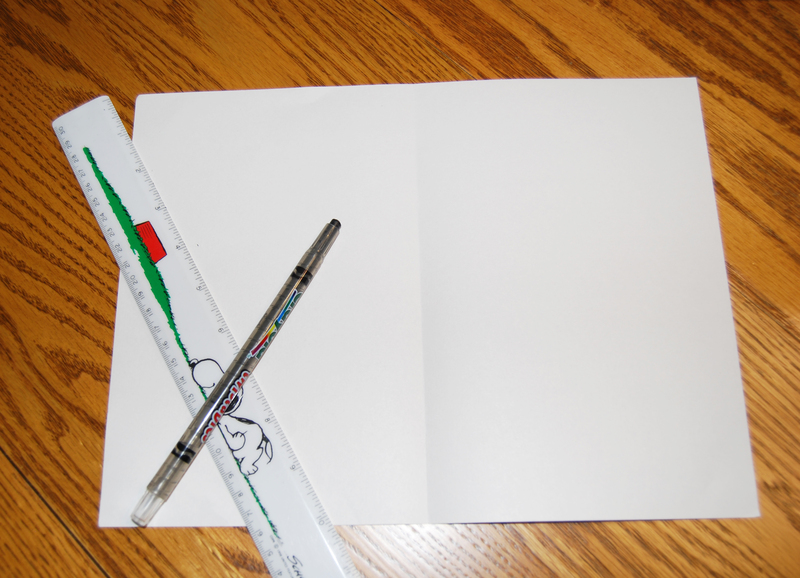 Fold the paper in half, and cut along the lines. 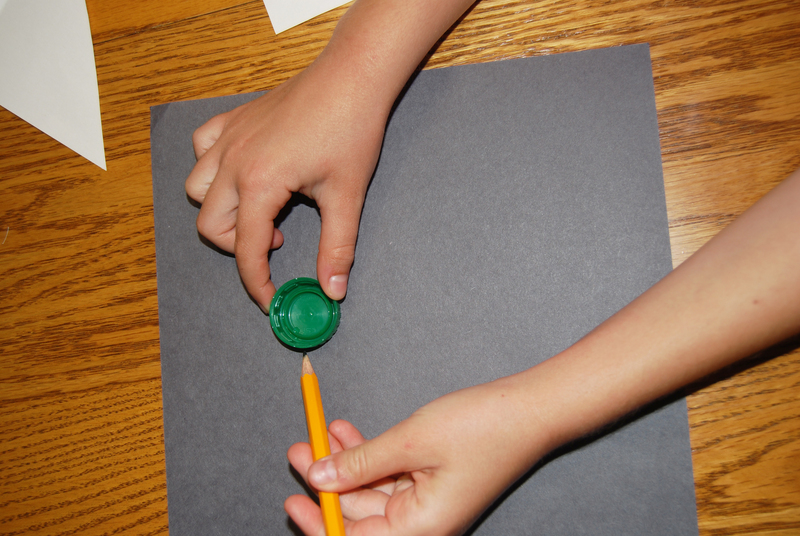 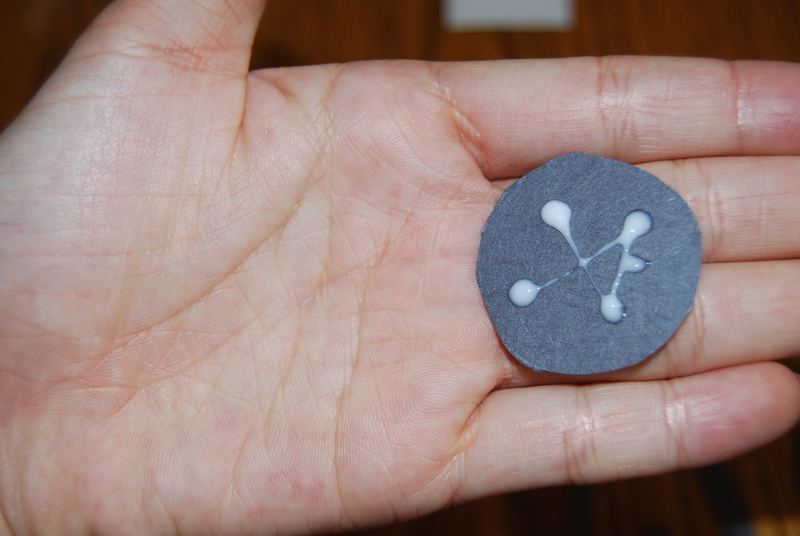 Using a bottle cap, trace circles on the black piece of paper. 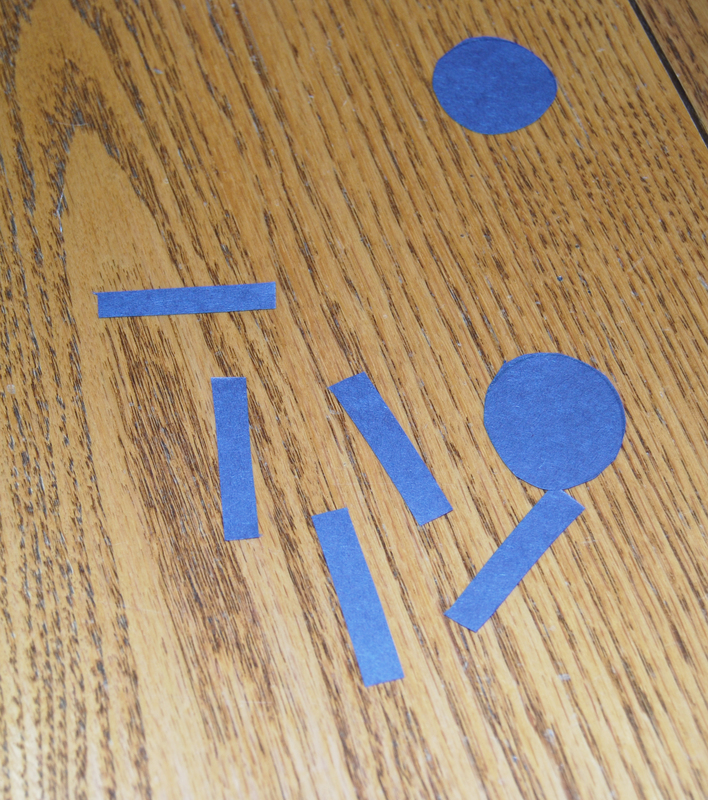 Using the black scraps, cut out small rectangles (around .5” wide). 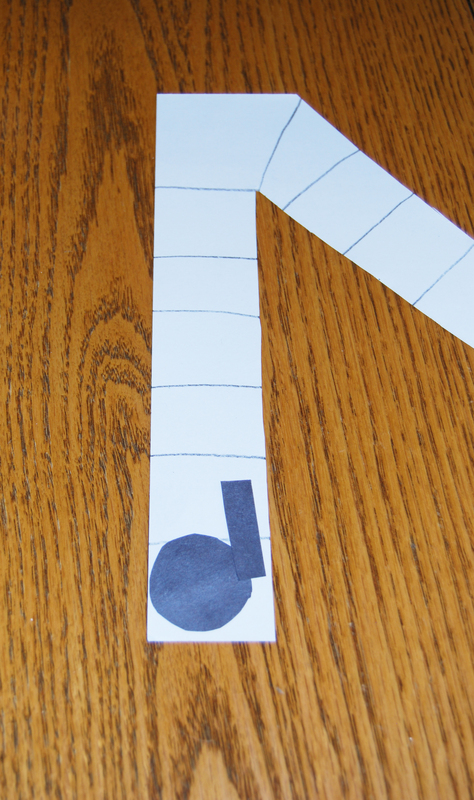 With the black Crayon, draw lines on the white M.
Glue the black dots on the white M.
Bonus: You can also add another rectangle across the top of two music notes, to make eighth notes.